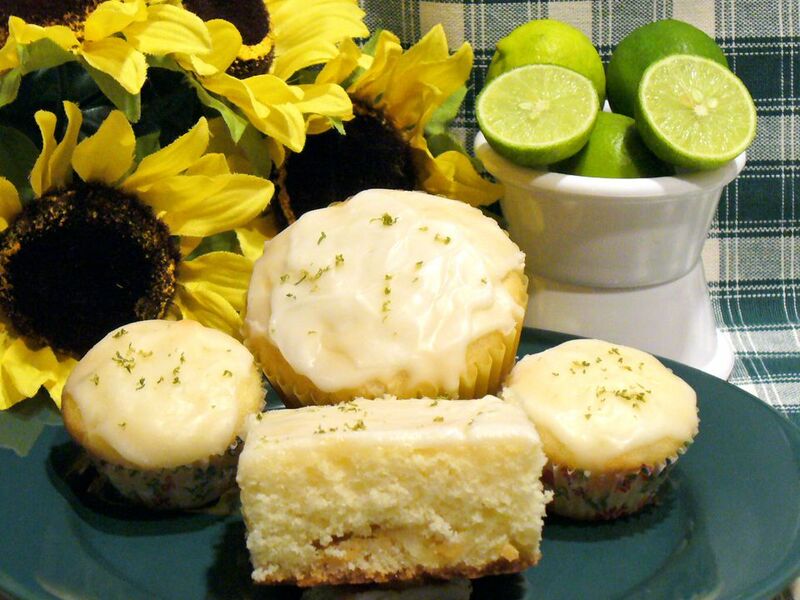 The combination of key limes and white chocolate is irresistable. Use this basic recipe for incredibly moist and delightfully tangy sweet or . Preheat oven to 350 degrees F (175 degrees C). Line standard-size muffin tin with foil liners. Blend the flour, baking powder, and salt together in a small bowl. Set aside. In a large mixing bowl, cream butter and sugar together with a mixer, beating until blended. Add the eggs, 1-1/2 teaspoons lime zest, and 1 tablespoon lime juice. Into the butter-cream mixture in the large bowl, add 1/3 of the flour mixture, stirring until combined. Add one-third of the buttermilk, stirring until combined. Continue alternating one-third of each until all is mixed well. Fold in white chocolate chips. Fill cupcake liners two-thirds full with batter. Bake 18 to 20 minutes (or 12 to 14 minutes for mini-muffins) until wooden pick inserted in the center comes out clean. Whisk powdered sugar and 1/8 cup lime juice together until combined and smooth. While muffins are still warm, poke holes in the tops of the muffins with a wooden pick. Smooth about a teaspoon on top of each warm muffin. Preheat oven to 350 degrees F (175 degrees C). Prepare 9 x 13-inch baking pan by lining with foil (non-stick foil recommended). Follow the same mixing instructions as above. Let rest in pan about 5 minutes and then poke holes all over the top of the cake with a wooden pick. Spread glaze evenly over top of cake and cool completely.